Thank you for visiting our booth at the Data Center Conference – the leading event for the Data Center and Infrastructures professionals in Israel, on February 2nd, 2019, at the at the LAGO events center. Alexander Schneider’s General Manager, Yigal Schneider, gave an excellent presentation about Innovation in Data Center Technologies. 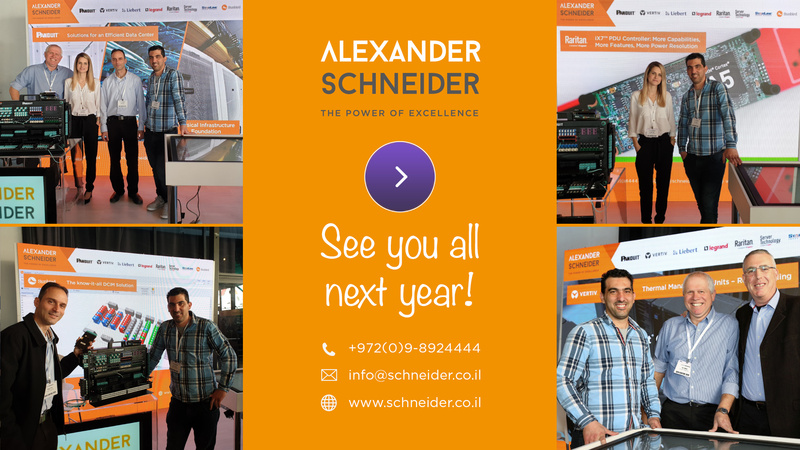 For further info please contact us at 972-9-8924444 or email us info@schneider.co.il and we’ll be happy to find the right solution for your needs.